Geothermal is currently the most underutilised of renewable resources, principally due to the high costs associated with deep geothermal drilling. These high drilling costs are related to the increased drilling distance and tripping times, harsher environments (temperature, pressure and geothermal fluid composition), reduced information (e.g. drilling blind) and lithology. 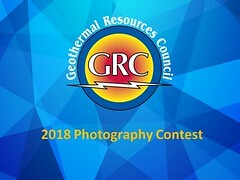 Following its long history of expertise and knowledge in coatings, material properties and performance, TWI has teamed up with experts in geothermal drilling technology including operators, specialists with experience in materials performance in harsh geothermal environments and development of graphene based materials and coatings, and simulation experts, to develop a novel and cost-effective drilling technology for geothermal systems.